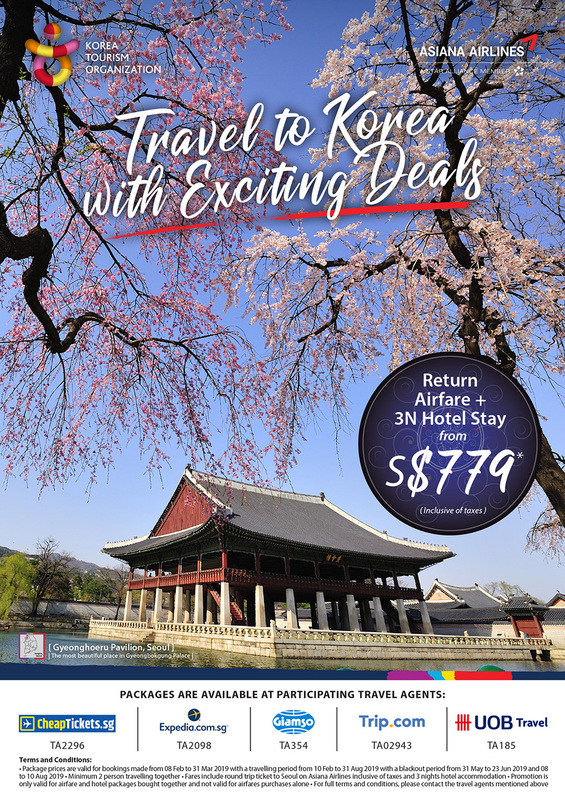 Don’t miss this chance on a special promotion to Korea that includes flight and 3 nights hotel accommodation from S$779. This promotion is available from the above participating travel agencies. Click on the individual logos to start booking now! Terms and conditions apply. For more information, please contact the following participating travel agencies.